Take a once-in-a-lifetime trip with the Harn. 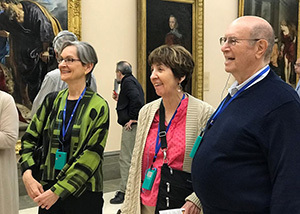 The Harn’s third Harn Voyage to Spain was inspired by the Museum’s modern and contemporary collections. 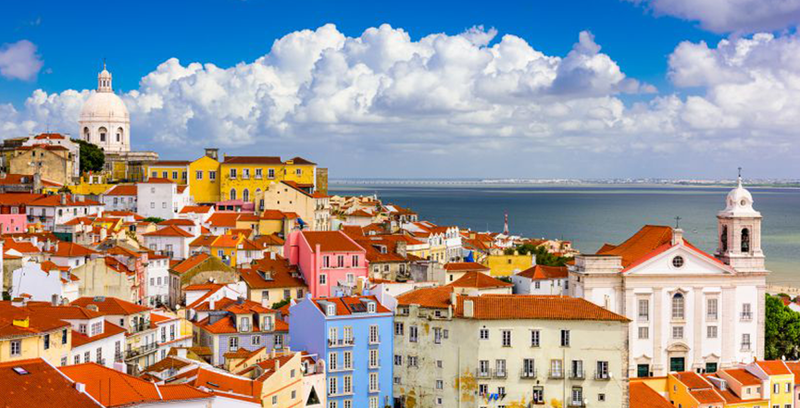 In addition to exploring museums, galleries and private collections, travelers spoke with architects and immersed themselves in local history with tours of each city. 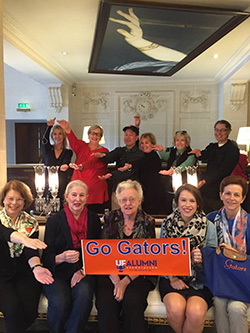 Participants enjoyed five-star accommodations at The Majestic and the Westin Palace Hotel and were within walking distance to restaurants and shopping. Trip Highlights: Barcelona Cathedral, the Picasso Museum, Palau de la Musica, Sagrada Família, the Museo Nacional de Catalunya, the Royal Palace, the Goya Museum, the Prado Museum, the Thyssen Museum and much more. 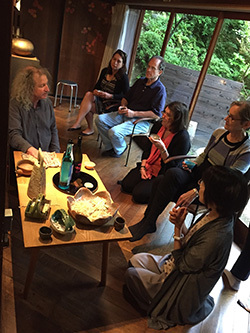 Inspiration from the Harn’s Asian Art Collection and the exhibition, "Into the Fold: Contemporary Japanese Ceramics from the Horvitz Collection" (October 7, 2014 – July 15, 2016), brought travelers to Japan for the second Harn Voyage. 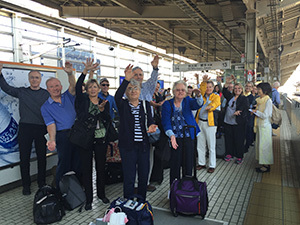 The trip began in Kyoto, detoured to Naoshima and Teshima for two days before spending the last three days in Tokyo. 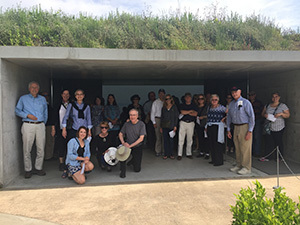 Harn Curator of Asian Art, Jason Steuber, joined the group on their tours of temples, gardens, traditional artists’ studios and museums, providing additional perspective and conversation to travelers. Trip Highlights: Buddhist Temple of Sanjusangendo, Nishiki Market, Ryoanji Garden, the Chichu Museum, Naoshima Art House Project, the Lee Ufan Museum, the Teshima Art Musuem, the Meiji Shrine at Yoyogi Park, the Nezu Museum, shopping on Omotesando, the Nozomi Shinkansen bullet train and much more. 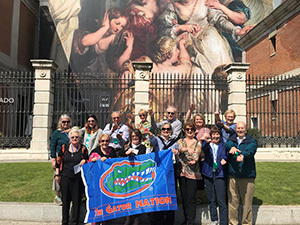 Inspired by the Harn’s exhibition "Monet and American Impressionism" (February 3, 2015 to May 25, 2015), travelers on the inaugural Harn Voyage trip enjoyed a magical trip to Paris. 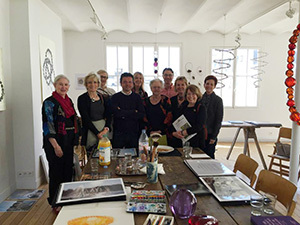 Visits to artists’ studios, galleries, private collections, focused on impressionism throughout Paris. 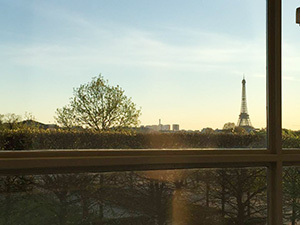 In addition to enjoying the finest cuisine, travelers found their accommodations at Le Meurice both tranquil and ideally placed near sights and shopping. Trip Highlights: Le Jeu de Paume, the Musée de l’Orangerie, the Rodin Museum, the Musée Marmottan-Monet, the Musée du Louvre, the studios of Charles-Francois Daubigny and Jean Michel Othoniel, the Marais and Place des Vosges, and much more. For questions contact Alli Hudson at 352.294.7054 or ahudson@harn.ufl.edu.